We can provide you with a variety of styles of skin care tube boxes packaging wholesale solutions, the choice for the packaging design style is diverse, the quality of the packaging is the best. According to the actual needs of the product, you than select cardboard tube boxes packaging type, the aesthetics is better than square cardboard packaging. Although the paste paper are mainly 60-128g copper paper, but the effects of different packaging design patterns displayed are completely different, and even to some extent can directly determine whether it can attract consumers to buy. This is a large skin care packaging, which is among the best cardboard tube packaging styles. The main highlight of the packaging design is the pearl oil characteristics of skin care product, packaging based pearls in 3D printing, gives the overall feeling inlaid with pearl packaging. And the pearl whitening effect, coupled with a special horse in white effect, is completely shown through the appearance of the package display. 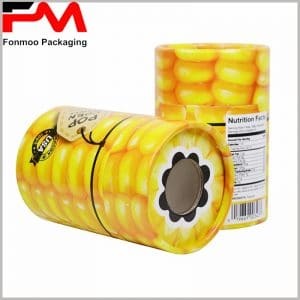 The other part is the light yellow color, seamless convergence of packaging cover in a perfect place, is in full compliance with high-quality custom product packaging standards. Although the highlight is the product features, and other skin care products in different places, it is still essential for brand advocacy. In the bottom of the cardboard box, there is the horse oil logo on the left, printing with brand logo and name, as for making a good publicity. Using key features for product promotion, with unknown brands and logo advocacy, this package has a good demonstration. Knowledge of packaging is unique and profound. Would you be a direct custom packaging manufacturer? How can I customize, what is the minimum order quantity?